Today and tomorrow — Good Friday and Holy Saturday — there will be no Mass. No bread and wine will be turned into the Body, Blood, Soul, and Divinity of Jesus Christ. No Mass for two days! It may sound unremarkable and so-what-ish, but it is a big deal. The Mass the “source and summit of the Christian life,” says the Catechism. It is towards the Mass that all Sacraments — including Confession, of course — are oriented. All the Sacraments are there so that we can all participate well in the Holy Eucharist as one People of God. It is the best physical Gift of our Lord! He leaves not photos of himself, or a lock of hair, or teddy bears with love notes, but himself, his very self. He left, yet he remains with us in the Blessed Sacrament (better than Skype). It is the closest thing to heaven itself! If in heaven we become one with but God, so do we in Holy Communion, if we have the right disposition. The only difference seems to be just that here we are still mortal — subject to death and sin and time — and the Sacred Host is dissolved into our poor bodies. Our senses cannot grasp the mind-blowing supernatural reality that happens to us when we receive Communion, that’s why we can still comment that the Host is bland. It is the best reality happening on earth! Imagine all the glories of Michael Jackson and Beyonce’s concerts (okay, don’t imagine too much), and the majesty of all the royalties in the world now and in the past, and all the World Youth Days and papal visits — all those are nothing compared to one simple Mass. I think it was St John Mary Vianney who said that Creation itself (that is, Genesis and all its ‘effects’ — the universe!) pales in comparison to a single Mass. Because in Creation, no-thing was turned into being; while in the Mass, poor things — bread and wine — are turned/transubstantiated into God, the Creator and Master of the Universe himself! I invite you to read more about the Holy Mass. Writings by saints like St John Mary Vianney, St Josemaria Escriva, St Therese of Liseux, and St Thomas Aquinas are sure to inspire you to be more attentive at such an ordinary- and simple-looking rite. Sometimes I get a kick out of imagining the above saints and their peers and all the angels in heaven in an eternal gasp as we, sinners on earth, receive Communion. Come, Holy Spirit, fill the hearts of your faithful, and kindle in them the fire of your love -- and you shall renew the face of the earth! 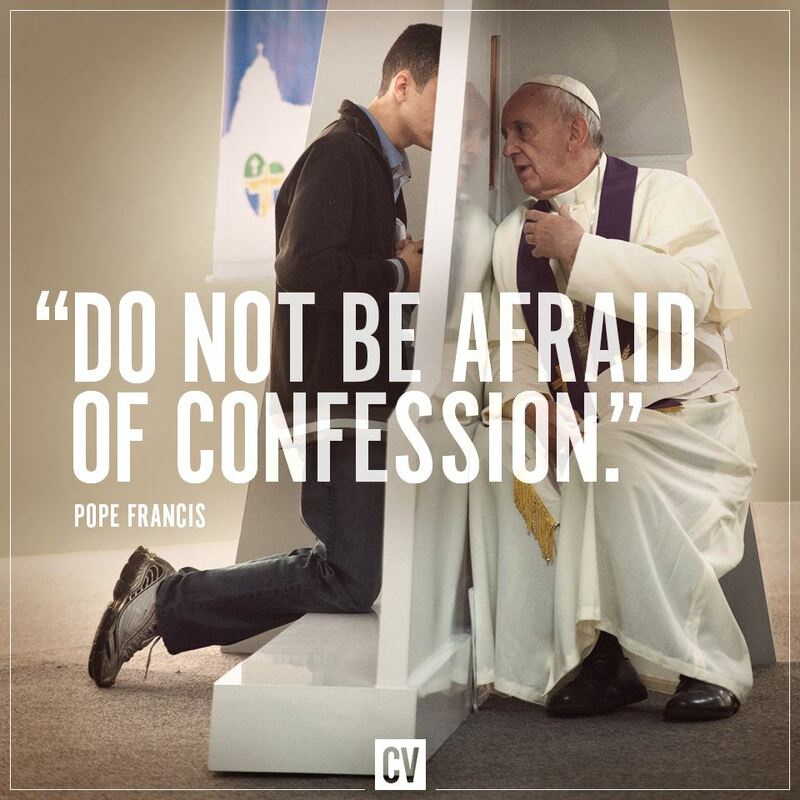 Havens of Confession in Metro Manila -- and then the world!